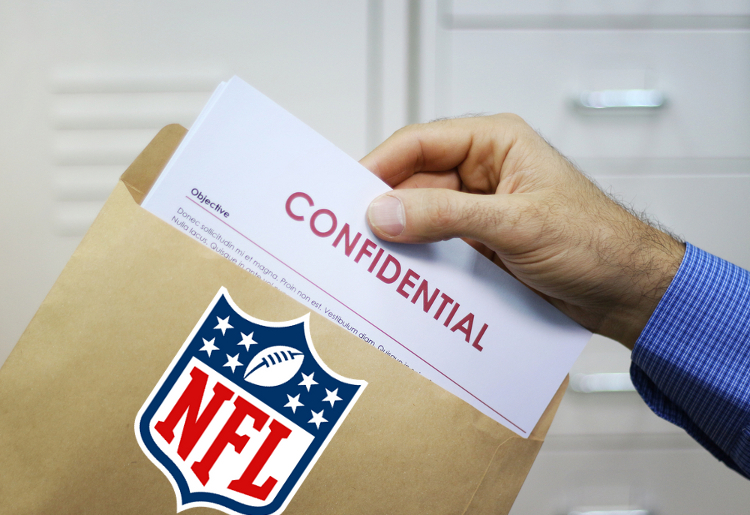 Despite limited data to work from it appears that settlements are being reached for opt-out claims against the NFL. The first indication came on September 4, when ten-year Patriots veteran Ted Johnson and the NFL agreed to stipulation of dismissal with prejudice of his lawsuit against the league. Why would a veteran player, who also enjoyed a six-year radio career that ended abruptly in 2014 agree to sign away his rights? I emailed his attorney requesting comment but received no response. The next ball to drop was on September 12, when Hall of Famer Tony Dorsett entered a stipulation of voluntary dismissal of his claims against the NFL. I emailed his attorney requesting comment, and again received no response. Mr. Dorsett’s struggles with dementia have been well documented, and he has publicly stated that he suffers from CTE. Simply walking away after waiting six-years for his day in court would make no sense. Both Johnson and Dorsett are represented by highly competent and capable attorneys, whom I believe would not have walked away from the table unless it was in their clients’ best interest to do so. On September 21, more dominoes started to fall. Six more stipulations of dismissal were filed that day, all but one of which involved multiple players. Among the dismissals were the suits against the Kansas City Chiefs and (former) St. Louis Cardinals. I wrote about these lawsuits a while back because I felt they were among the stronger opt-out claims, and perhaps stood one of the best chances of remand back to state court due to the fact that only state law torts were pled against Missouri teams. 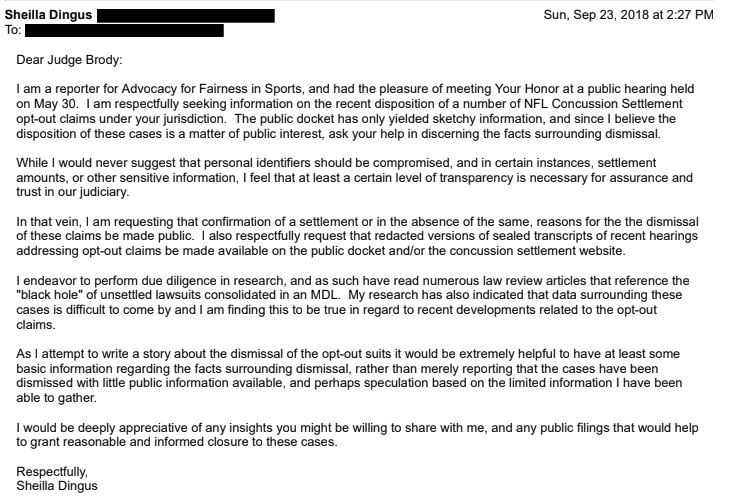 I emailed counsel for all these players, as well as NFL counsel and NFL communications with the same result as before. No acknowledgment of my email. As I waited for responses I didn’t anticipate receiving while hoping to be pleasantly surprised, I decided to check the status of each opt-out claim. The results of my investigation are detailed in the spreadsheet below (note: these figures were updated on October 5): If you have trouble viewing, here’s a direct link. Out of over 200 players who initially opted out of the concussion settlement, many opted back in leaving only 94 unsettled claims against the league. On July 24, Judge Brody issued the equivalent of a Lone Pine order, demanding medical records from 47 of the opt-out claimants. Johnson and Dorsett were among those impacted by the order, but on information and belief, they’ve managed to find their own resolution. An order was entered on August 29, that Shaun Gayle had complied in good faith with the order; this was two days before the August 31 deadline Judge Brody had established for compliance. Forty additional claims are still impacted by the order. If a lack of acknowledgment as entered for Mr. Gayle should indicate a failure to comply, these claims will almost certainly be dismissed, as I noted in my article on the order, unless settlement talks are taking place behind the scenes. Junior Seau’s children are among the more high-profile claimants in this category (update 10/5/18 – the Seau children have now reached a settlement). These figures have been updated with and are accurate as of October 5, 2015.) Of the 94 claimants, 33 have agreed to dismissal and are presumed or known to have settled. One claimant who escaped the Lone Pine order appears to be active but has no recent activity on his file. One lawsuit filed by the son of Art DeCarlo Sr. was settled in New York Supreme Court, with most filings under seal including the settlement reached. Twenty-eight players who opted out of the settlement do not appear to have active claims; some have never filed whereas others sought voluntary dismissal without prejudice, meaning they can refile should they decide to pursue action against the league. It seems that the time has come to find out, but due to sealed court hearings, vague stipulations, and lawyers who are probably conditioned to confidentiality, it’s difficult to ascertain who made the best decisions. In a rather unorthodox move, I sent an email to Judge Brody. While I didn’t really expect a response, I decided to allow reasonable time for an answer, as I pursued other avenues of information. Going through back channels “word on the street” held that at least some settlements have been reached, as I suspected. I find the implications troubling in that without transparency plaintiffs have little solid information to work from in making decisions if they should find themselves in the middle of a mass tort. Information for opting out is required in notices to a certified class, while at the same time, it is normally frowned upon and discouraged. While I believe a disproportionate amount of claims are “whacked” through Lone Pine orders and pretrial motions, it also seems that information regarding those who have achieved success through opting out is also suppressed, possibly as a means of discouraging future claimants to pursue that avenue. Aside from the opt-out cases caught up in or recently dismissed from the MDL, five non-opt out claimants have also found their lawsuits rolled into the MDL with little to no control of their own cases. Of these lawsuits, Hernandez, Scroggins, and Stabler’s status as class members is disputed. If it is determined that those claimants are settlement class members, since they neither registered for the settlement nor opted out of it their claims will be dismissed with prejudice, with all rights forfeited due to the settlement structure and definition of settlement class. Of these cases, I feel Hernandez has the greatest chance of success because of the ambivalent state of her father’s career during the time when the ability to opt out of the settlement was open and possible challenges to notice because of Aaron Hernandez’s incarceration. Craig Steltz and the survivors of Adrian Robinson Jr. are clearly not members of the settlement class. Steltz was released from the Chicago Bears in August 2014. In March 2018 he filed a lawsuit against the NFL in Louisiana District Court. It was consolidated with the MDL in EDPA about a month later. Not to be deterred, In July 2018 he filed another lawsuit in Civil Court for the Parish of New Orleans. In following Rules of Civil Procedure, the NFL sought removal of the state law claims to federal court in the Eastern District of Louisiana which was granted on August 1. When I became aware of the second lawsuit, I anticipated that it would be consolidated with the MDL in short order, and it was, on September 14. Adrian Robinson Jr. was released from the Tampa Bay Buccaneers on Sept. 23, 2014, a little over two months after settlement approval and retirement cutoff date for the class eligibility of July 7, 2014. He signed with the CFL team Hamilton Tiger Cats in April 2015, but never reported as he committed suicide in May 2015 at the age of 25. He was found to have CTE when his brain was examined posthumously. His parents filed a lawsuit in the Court of Common Pleas in Philadelphia in May 2016. It was removed to the Eastern District of Pennsylvania the following month and consolidated with the MDL. His family’s lawsuit alleges only state law torts based on the NFL’s misrepresentation to the public that the game was safe. His parents do not allege injuries from his 2 1/2-year NFL career, but rather the fact they placed him in youth football at the age of 6, beginning many years of football exposure, based on NFL propaganda that his parents believed. 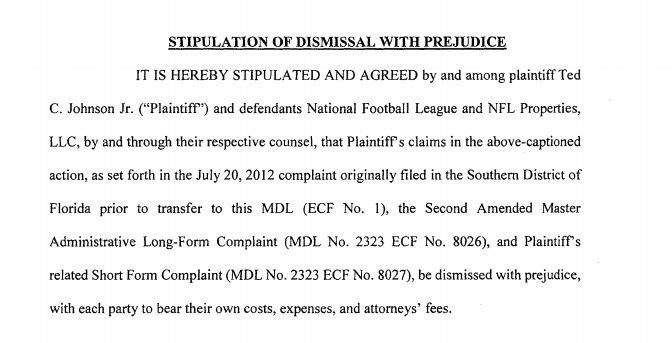 Steltz’s lawsuit appears to be a hybrid of earlier claims against the policies of the NFL which affected him as a player and the duty to the public claims in the Robinson and Hernandez lawsuits. 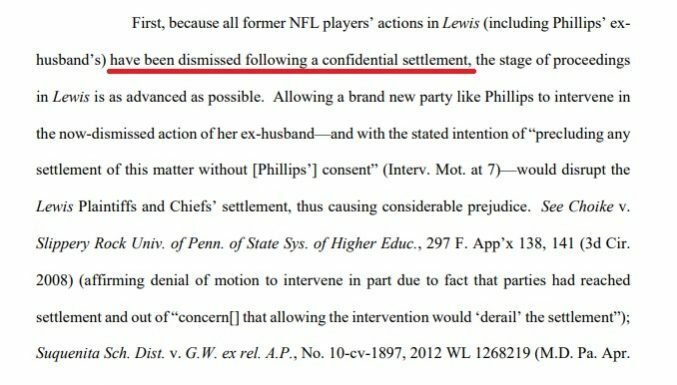 Curiously the lawsuit filed in state court was a copy and paste of the federal suit, with no modifications to tailor it to state law causes of action, unlike the Robinson and Hernandez suits which carefully emphasized the state law tort claims and specifically pointed out that they make no claims whatsoever in relation to the deceased player’s status as a former NFL player. I suspect Mr. Steltz’s attorney didn’t make that effort since he anticipated consolidation with the MDL on the second lawsuit and probably merging of the two. This is currently where non-class members stand in the MDL. Since the settlement agreement spans a 65-year term, it stands to reason that the MDL will remain open for the corresponding time frame. Judge Brody is 83 years old, so eventually another Eastern District of Pennsylvania judge will be chosen to preside, and possibly a succession of judges due to the lengthy settlement terms. Their judicial philosophies and actions are impossible to anticipate. What does appear certain, at least in the foreseeable future is that all NFL related brain injury claims will go through the Eastern District of Pennsylvania, and at least for the time Judge Brody presides, limited public information will be made available. “Only time will tell which legal strategy proves the wisest.” We more than likely will have a long wait to learn the specifics, of Professor McCann’s perhaps rhetorical question, but for now, the indications appear to be yes, at least half of the group made a good decision. This statement among others in the response brief would tend to indicate that the assumptions of settlement were correct. Congratulations to the opt-out players and their counsel who have prevailed. I hope to see similar dismissals in the coming days. On October 5, another notice of dismissal was filed on behalf of the Seau family. Shortly afterward, their lawyer stated in a press release: “It was an honor for Cooley to represent the Seau children in this litigation,” Strauss said. “Throughout this process, they have demonstrated the same spirit and commitment that their father Junior modeled during his incredible life and NFL career. We know he would have been proud of them. A post-mortem study of Seau’s brain concluded he had suffered from chronic traumatic encephalopathy, a condition caused by repetitive brain trauma. In 2016, the US Court of Appeals for the Third Circuit approved a settlement between the NFL and a class of 5,000 former players over brain injuries, but the Seau family opted out in order to pursue their individual action against the NFL and recover for the children’s unique wrongful death claims.” The New York Times reported on the settlement shortly thereafter.